The praying mantis is one of the most effective predators of the insect world. It gets its name from its prominent, bent front legs that look as if they are folded together in prayer; the word 'mantis' is derived from the Greek word for soothsayer. 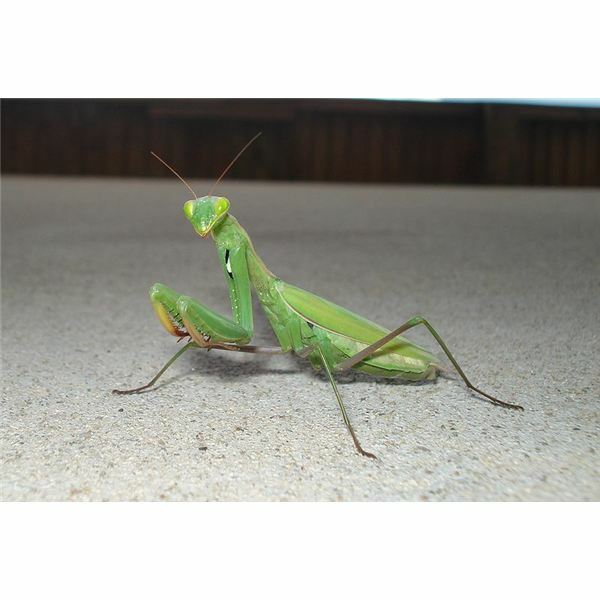 In the praying mantis preschool theme, we'll take a look at some scientific facts about this interesting insect, read some books about it, make some art and craft projects on it, and then have a discussion about what we have learned. Please check that all the materials used are non-toxic, and that the preschoolers do not put any of it in their mouths. There are over 2,000 types of mantids around the world, mainly in warm and tropical regions. Praying mantises are closely related to cockroaches and termites. A preying mantis has two large compound eyes and three simple eyes, and it can turn its head through 180 degrees, giving it a very wide field of vision. In size, a praying mantis is about 1.2 cm to 15 cm long. 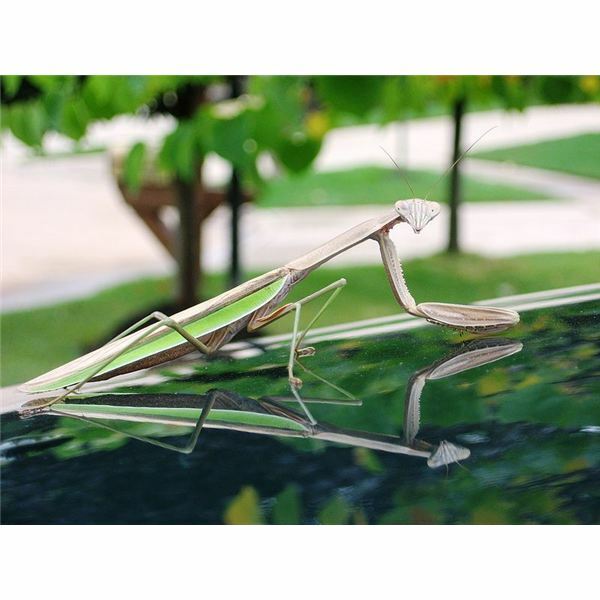 A praying mantis is green, brown or black in color. Some praying mantises may have speckled coloring. Others have bright colorings and resemble flowers. Such colorings allow these insects to blend in better with their surroundings. The praying mantis can then follow a successful predatory technique in which it lies still in ambush and strikes with lightning speed at the approaching, unsuspecting prey. The camouflage also allows the praying mantises to evade predators in its turn. The praying mantis uses its front legs, which are equipped with spikes, to snare its prey and pin it down. A praying mantis generally eats insects like crickets, fruit flies, moths and grasshoppers. It has also been known to eat small birds, snakes, rats, frogs, lizards and fish. Praying mantises also often eat other praying mantises. They hunt primarily during the day, but are also known to hunt at night time. When a praying mantis is threatened, it rises up, spreads its forelegs and fans out its wings in an aggressive display. A female praying mantis lays 10-400 eggs that can take from 3 weeks to 6 months to hatch. Praying mantises have a life span of about a year. 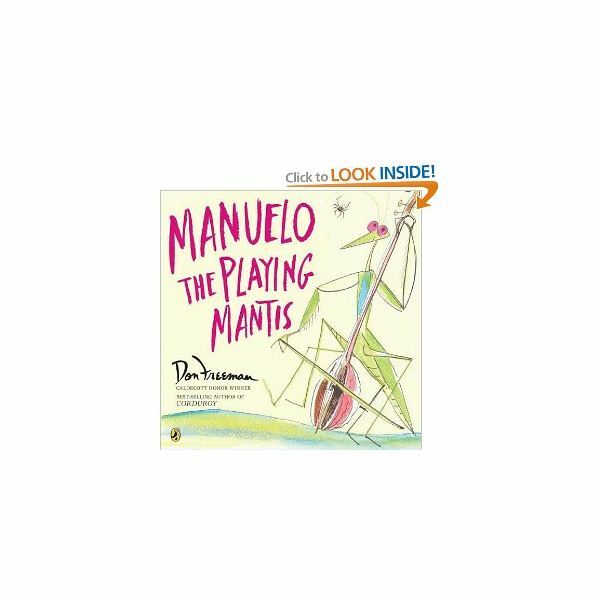 Hand out drawing sheets and colors and have the children draw a praying mantis in a leafy environment. Hand out lumps of play clay and show the preschoolers how to fashion a praying mantis. Roll out a long and thin cylinder of clay. Top this with a small ball of clay. Pinch this ball to give it a triangular shape. Leaving the upper part of the body narrow, apply clay to the lower part in a tapering leaf shape – the middle portion will be broad and it will taper off to a point at the end. Roll out four thin clay sticks, bend them in the middle and attach to the mantis body near the broad mid-section. Two of the legs should be bent forward and the other set of legs should be bent backward. Roll out two more and slightly thicker clay sticks, bend them in the middle with one section bent upward in a praying position, and attach them to the thin upper part, just below the head. Stand your mantis up carefully. 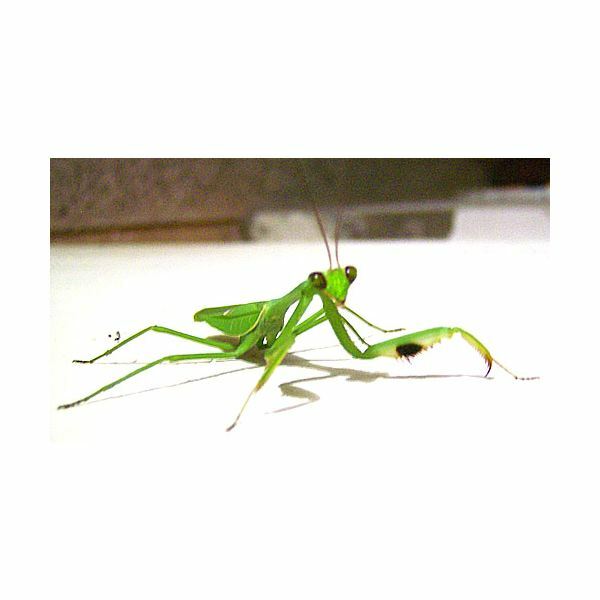 Use the praying mantis preschool theme to encourage the preschoolers to think about what they've learned and speak out about it. Ask questions about what a praying mantis looks like and what it does and what it eats. If possible, get a live praying mantis in a glass jar and have the children observe it; please release it back into the garden afterwards.